Both guides will feature all the TUDOR entries and 20 of the GS and ST Class cars form the Continental Tire SportsCar Challenge. For the NAEC events, the online guide will consist of 3 pages, while remaining TUDOR rounds will feature 2. Hugh thanks to everyone at IMSA for supporting and bringing this to life and to all the teams who have supported this. 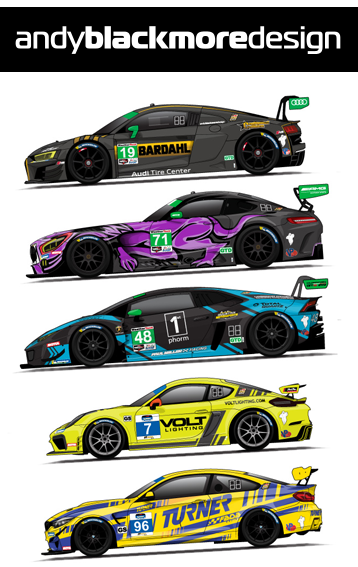 I had an incredible response with virtually every TUDOR team responding and assisting with the guide to make it easier for you, the fans to follow. Don’t forget for 2015 you can follow the races with radiolemans.com who will be providing Radio IMSA. 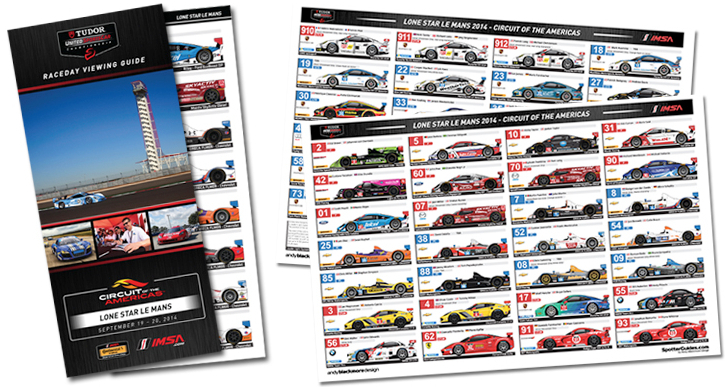 Andy Blackmore Design and IMSA will also be producing a Spotter Guide (season long) Poster and T-shirt which should be available from the Sebring round of the series! Still looking for sponsorship of other SpotterGuides, so drop me a line if you want to ensure your brand gets in the hand of core motorsport fans at home or the circuit. More news on other Spotter Guides soon!